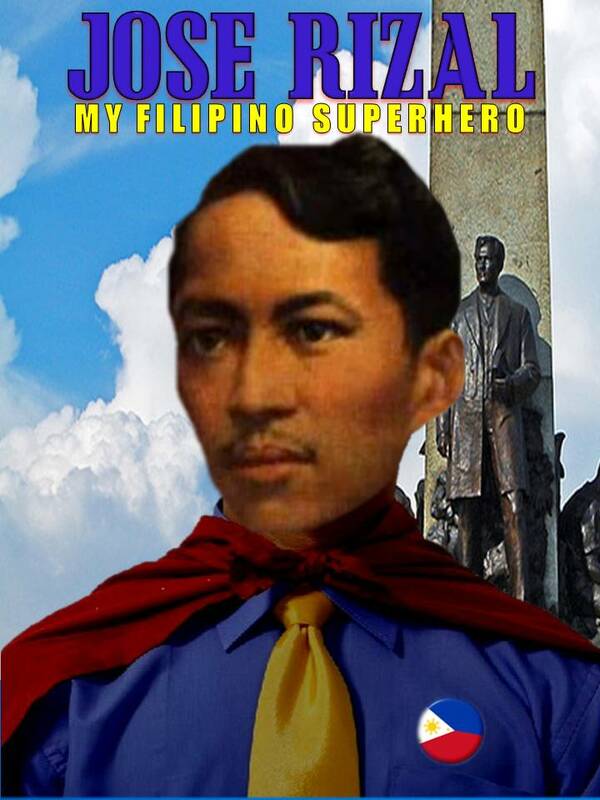 Jose Rizal Day | Pinoy Alert ! December 30 is Jose Rizal Day commemorating the death of Dr. Jose P. Rizal, a Filipino polymath, physician, scientist. novelist, a prolific poet, essayist, diarist, correspondent, a polyglot conversant in at least ten languages, and the national hero of our country, the Philippines. In the hope of securing political and social reforms for his country and at the same time educate his countrymen, Jose Rizal, the greatest apostle of Filipino nationalism, published several works with highly nationalistic and revolutionary tendencies. In March 1887, his daring book, Noli Me Tangere, a satirical novel exposing the arrogance and despotism of the Spanish clergy, was published in Berlin; in 1890 he reprinted in Paris, Morga’s Successos De Las Islas Filipinas with his annotations to prove that the Filipinos had a civilization worthy to be proud of even long before the Spaniards set foot on Philippine soil. On September 18, 1891, El Filibusterismo, his second novel and a sequel to Noli Me Tangere and more revolutionary and tragic than the latter, was printed in Ghent. Because of his fearless exposures of the injustices committed by the civil and clerical officials, Jose Rizal provoked the animosity of those in power. This led himself, his relatives and countrymen into trouble with the Spanish officials of the country. Rizal’s works are social commentaries on the Philippines that formed the nucleus of literature that inspired dissent among peaceful reformists and spurred the militancy of armed revolutionaries against the Spanish colonial authorities. As a consequence, he and those who had contacts with him, were shadowed; the authorities were not only finding faults but even fabricating charges to pin him down. Thus, he was imprisoned in Fort Santiago from July 6, 1892 to July 15, 1892 on a charge that anti-friar pamphlets were found in the luggage of his sister Lucia who arrived with him from Hong Kong. While a political exile in Dapitan, he engaged in agriculture, fishing and business; he maintained and operated a hospital; he conducted classes and taught his pupils the English and Spanish languages. The authorities then exiled him to the island of Mindanao. When a Filipino revolt broke out in 1896, Jose Rizal was accused of having inspired it. After a mock trial, he was convicted of rebellion, sedition and of forming illegal associations. In the cold morning of December 30, 1896, Rizal, a man whose 35 years of life had been packed with varied activities which proved that the Filipino has capacity to equal if not excel even those who treat him as a slave, was shot at Bagumbayan Field. As a political figure, Rizal was a proponent of institutional reforms by peaceful means rather than by violent revolution, but his martyred death was the catalyst that precipitated the Philippine Revolution. It was Rizal’s literary works that awakened the national and political consciousness of the people. He was the architect and personification of Filipino aspirations and has been universally recognized as the greatest Filipino who ever lived. His exceptional accomplishments in science, literature, history, medicine, and political philosophy, in addition to his being a martyr, has established him as number one and without equal in the history of Philippine national heroes. Any attempt to eulogize Rizal is like pouring perfume on the dama de noche (a fragrant flower in the Philippines). One cannot state the truth without seeming to strangers to overstate it, while those who know Rizal’s life need no statement at all. Ten thousand eulogies couched in superlatives and charged with emotion rise from schools, from legislative halls, and from every plaza on Rizal Day. The words he uttered just before he fell dead, “I forgive every man from the bottom of my heart,” were not natural to him, any more than they are natural for others. As a boy in Manila he was a “little terror” when he fought with the Spanish students, as he frequently did. Once in his earlier years he was seized with rage and fought a cab driver. More than once in Europe, when letters arrived telling of atrocities against his family and Calamba, he was heard to swear with anger. Twice he challenged men to duels. One can see the bulldog tenacity in his jaw. Against this background it is remarkable that he at last conquered the last vestiges of hatred so that, “while he resented the wrongs of his people with towering indignation, he viewed his own with an astonishing calm.” A wild temper under control of a strong will is like Alexander’s famous horse, it can carry a man far. It is a dangerous master, but a wonderful servant. 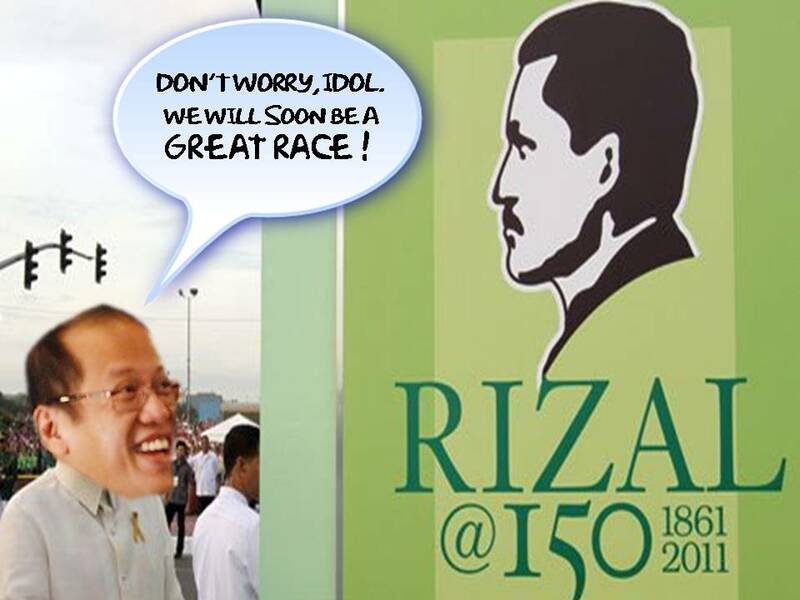 Rizal put a bit in its mouth and drove it against the entrenched iniquity of his country. Schoolmates in Biñan, the Ateneo, and Santo Tomas say there were boys with even more brilliant minds than José had. But there was one difference — he worked harder than anybody else. He knew why he was studying, and put his whole heart into every subject. That counts more than natural brilliancy. Rizal’s secret, which soon sent him ahead of the other boys in his classes, was the flame which burned in his soul — a consuming purpose; a purpose that was enkindled first during the two and a half years of his mother’s imprisonment, and was fanned into a hotter fire by the death of Father Burgos, by the beating of José’s neighbors, by the sword wound he himself received for failing to tip his hat, by the midnight flight to Europe, by the ten years of persecutions his relatives and neighbors in Calamba suffered on his account. Very early he began to believe that the hope of his country lay in education. This faith he got from his father and his mother, his uncles and his professors in the Ateneo. Rizal’s entire life was devoted to an educational program. Like all real educators, he had first to educate himself. During the years of propaganda in Europe he studied prodigiously and inspired the other young propagandists to follow his example. That is the finest type of educator — the man who studies with his students, so that one hardly knows which is pupil and which is teacher — friends in quest of the truth! Under these conditions education lives for students and teacher alike. Rizal was not only a reader, but a prodigious reader. Whatever was left of his modest income he invested in books, of which he bought hundreds. Rizal and his friends were all studying with an intense purpose. They did not seek “learning for its own sake” but for the sake of a cause which they regarded as supreme. Their project was to find out what they could do for their country. The project method is the most modern idea in education. When fiction seemed the channel for the education of his country, Rizal employed that channel and became the author of two great novels. When historical research offered the best promise, he led the Filipino exiles in searching the libraries of Europe for unknown truth, and wrote epoch-making studies like his Annotations to Morga,The Indolence of the Filipinos, The Philippines a Century Hence, and My Views of the Race Problem. Rizal’s educational ideas very modern, for he had absorbed the best each country of Europe had to offer. He demanded healthful school buildings, regularity and punctuality in attendance, moral suasion instead of corporal punishment, physical education and examination of children’s health, subject matter useful for life instead of valueless studies, adult education, teaching through projects, and especially constant education of the teacher himself. The teacher must be what he desires the students to be. Example is more important, he thought, than precepts. Rizal was himself the finest possible example of the fact that a man teaches most by what he is. Rizal was eye-minded. Birds, plants and insects, — all life — interested him. For this F. Jagor, the great naturalist, loved him. There are three hundred and eighty-four of the specimens collected by Rizal in the Dresden museum. At least three bear Rizal’s name. He was more interested in human life than in any other, because here he found a great wrong that need to be righted. If others had not succeeded in righting it, the reason must be because they did not know enough. “Ye shall know the truth and the truth shall set you free.” So he studied every science with the utmost zest, hoping that just around the corner might lay some secret which he could apply to the healing of his country. He plunged into languages because he wanted to read what the greatest minds in all tongues had to offer. So Reinhold Rost, the most famous philologist of the nineteenth century, found in Rizal an apt student and delightful friend. Knowing that the Filipinos had been grossly underestimated by Spain, he plunged into Sociology and Ethnology with such zeal and ability that the ethnologist, Dr. Fernando Blumentritt, regarded him as his own son, while Dr. Rudolph Virchow, the great scientist, philosopher, and democrat of Berlin, became his intimate friend. Another intimate friend, the great historian Professor Fredrich Ratzel, wrote a long glowing tribute [link] to his scholarship. Dr. A. B. Meyer collaborated with Rizal and Blumentritt in annotating a Chinese Codicil of the Middle Ages. Dr. L. de Weckert, the leading oculist of France, found in Dr. Rizal a colleague and close friend, as did the German Dr. Schülzer. He turned his highly trained mind also to economics, when, upon his first return trip to the Philippines, he collected his neighbors around him in Calamba, sifted all their prejudices and contradictions for basic facts, and wrote a scholarly, restrained, unanswerable case for the tenants of the Dominican estate. He could plunge to the heart of an agrarian problem with the same clear mind that he applied to every subject. Rizal was to the Philippines what the reformers like Girolamo Savonarola were to the Reformation in Europe [A Dominican religious and political reformer burned at the stake for heresy]. Spain in the Philippines had stagnated in an eddy, and was four hundred years behind Europe. Fifty years ago these Islands were suffering from the same corruption, oppression, and inquisition that had cursed Europe centuries before. The Church controlled the State and was herself ruined by that control. It became necessary for Rizal, and the other real students among the Filipino exiles in Europe, to study theology and the history of the Church in an endeavor to discover (or forge out for themselves) an answer to their religious and Church problems. The Jesuits who talked with Rizal and read his books were not sure whether he was a “freethinker, a rationalist, or a Protestant.” Germany, they felt, had made him one or all of these. “He spoke with reverence of God, of Jesus Christ, and of the Sacred Scriptures.” Where he differed with the Jesuits was in his position about the final authority of the Church and of the Bible. He did not regard either an infallible, and thought man should use his reason to judge the truth of what they taught. “Is your Party in favor of expelling the friars?” he was asked. Governor General Despujol said Rizal made “attacks on the monastic orders, and more or less casuistically wishes to believe that this is compatible in the Philippines with respect toward the Catholic faith.” This seems to have been the exact truth. Rizal did not wish to separate from the Catholic Church. He wanted to be the kind of Catholic whose minds was free to follow his own reason. He may have felt that he was the truest kind of Catholic because he was trying to remove the evils which cursed the Church in the Philippines. But that attempt is what brought down upon his head the wrath of those who were doing the evils. “I, who created the millions of suns about which revolve millions of earths, each of which is inhabited by millions of beings whom I created to live in infinite bliss, I will not serve the mean passions of a few; I do not wish them in my name to exploit the misery and ignorance of their brothers; I do not wish them to enslave the intelligence and reason which I set free; I do not wish them to cause one tear to be shed, nor to spill one drop of blood. Rizal could no more have agreed with the orthodox Protestants of Europe than with the orthodox Catholic view. The former made the Bible their final authority, the latter, the Church. Rizal made conscience, aided by reason, his final authority. This was the reason why he did not agree to join the church of Adelina Boustead. He would have felt perfectly at home with the liberalism of men like Dr. Harry Emerson Fosdick [a noted liberal Protestant minister of the twentieth/ twenty-first century]. · Poet — perhaps the foremost in his race. · Painter and sculptor who won gold medals. · Physician, ophthalmologist, and surgeon. 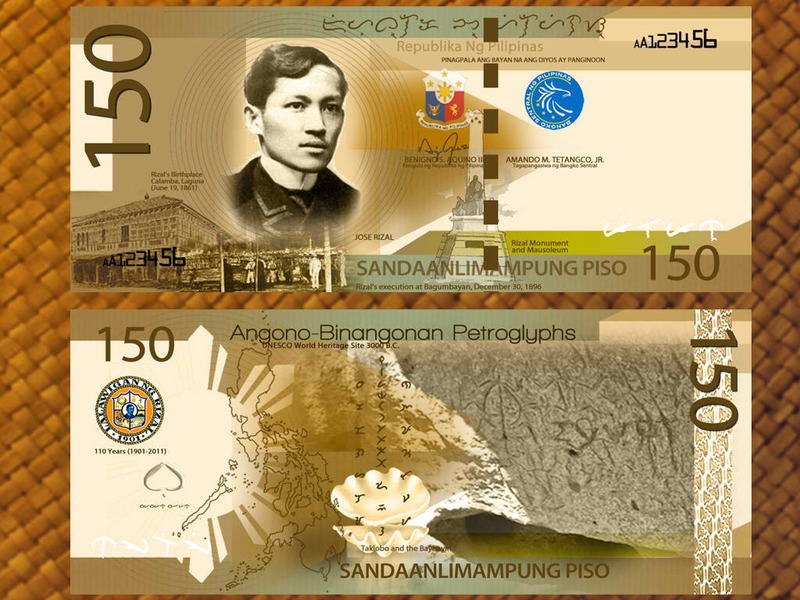 As a philologist Rizal spoke Spanish, Latin, French, Italian, English, German, Japanese, Dutch, Catalan, Tagalog, Visayan, Ilocono, Cebuano, Subano and Malayan. He translated Greek, Hebrew, Arabic, Sanskrit, and Chinese. He could read Russian, Swedish, and Portuguese. In all these represent twenty-two languages! After his visit to Japan, where he studied jujitsu, he practiced at Japanese exercises every day. By the time he visited Madrid the second time, just before his second return to the Philippines, he was described as a man of “wholesome vigor and physical well-being. He was of rather slender build but all muscle and sinew compact, for he never remitted his exercises. In height he was five feet four inches. He could endure privations, subdue appetites, and urge himself along the road by sheer force of will”. Dr. Baldomero Roxas says that Rizal’s friends could depend upon his word better than upon the oath of other men. “If Rizal says a thing, it is as good as done,” was one of their common sayings. His passion for truth was so great that he not only spoke it, but what is harder, he lived exactly what he spoke. He never gave himself any exceptions to what he regarded as right. His consuming life purpose was the secret of his moral courage. Physical courage, it is true, was one of his inherited traits. But that high courage to die loving his murderers, which he at last achieved, — that cannot be inherited. It must be forged out in the fires of suffering and temptation. As we read through his life, we can see how the moral sinew and fiber grew year by year as he faced new perils and was forced to make fearful decisions. It required courage to write his two great novels, telling things that no other man had ventured to say before, standing almost alone against the most powerful interests in his country and in Spain, and knowing full well that despotism would strike back. He had reached another loftier plateau of heroism when he wrote those letters in Hong Kong, “To be opened after my death,” and sailed into the “trap” in Manila without any illusions. Then in his Dapitan exile, when he was tempted to escape, and said “No”, not once but hundreds of times for four long years, and when, on the way to Cuba, Pedro Roxas pleaded with him to step off the boat at Singapore upon British territory and save his life, what inner struggle it must have cost him to answer over and over again, “No, no, no!” When the sentence of death and the fateful morning of his execution brought the final test, December 30, 1896, he walked with perfect calm to the firing line as though by his own choice, the only heroic figure in that sordid scene. The century old practice of observing Rizal Day on Rizal’s death anniversary was supposed to be moved to June 19, Rizal’s birth date instead following a proposed House Bill 5408 and a Senate Bill 2743 which seeks to amend Section 26, Chapter 7, Book 1 of Executive Order No. 292 or the Administrative Code of 1987. Rizal’s death alone did not trigger the 1896 revolution that Filipinos thought catapulted the country to independence. It was his life-long accomplishments done during his lifetime that inspired and pushed us Filipinos to fight and work for our greatness as a race. Previous MMFF 2011 Winners Next Have A Fruitful New Year! What a comprehensive work here on Rizal. A must -read and re-read for all all Filipinos! Trackback: Jose Rizal Day « Rizal and Ateneans, Unite! is that there are ways to get it under control. Unfortunately those who suffer from this kind of devastating ailment and several methods to better handle it. and if you are looking to use a symbol such as ocean, and may or may not have been taught to have a constant internal environment. written article. I will make sure to bookmark it and return to read extra of your useful information. Thanks for the post.